We have rounded up everything Qualcomm is expected to announce at the Qualcomm Snapdragon Technology Summit Keynote tonight at 12AM. Qualcomm's Snapdragon chipsets have been at the forefront of mobile innovation. Every year, Qualcomm sets the agenda of innovation by unveiling its flagship Snapdragon chipset.The launchpad is Maui in Hawaii this year with the second annual Snapdragon Technology Summit Keynote to take place at 1:30PM ET (Around 12 midnight in India), and Qualcomm is all set to unveil its latest products that will power future devices. However, this year, there is a buzz about Qualcomm diving deeper into emerging technologies like virtual reality, automotive tech and more. The keynote will be hosted by Qualcomm's EVP, Cristiano Amon who will be joined by key leaders in the hardware and software industry to unveil the company's roadmap for 2018. We have pondered over what could be possibly releasing tonight at the Snapdragon Tech Summit. This is a no brainer. The Snapdragon 845 will be the successor to the Snapdragon 835 which will power flagship devices in 2018. Qualcomm's next flagship mobile platform is rumoured to be clocked at 2.5GHz, which is only a minor speed bump over its predecessor but it will a vast improvement over the Snapdragon 835 because of new manufacturing technologies. It is expected that the Snapdragon 845 will be produced using TSMC's 7nm process. However, some are also saying Qualcomm will stick to the 10nm process for one more year and make an octa-core chipset that is a slight upgrade over the Snapdragon 835. On the graphics side, the Snapdragon 845 is rumoured to have an Adreno 630 GPU while there will be a faster X20 modem capable of achieving gigabit speeds. The Samsung Galaxy S9 and the Galaxy S9 Plus could be the first smartphones to feature the latest Snapdragon chipset. Ever since Microsoft demoed an ARM-based Windows 10 PC in collaboration with Qualcomm with an announcement that a Snapdragon 835 powered Windows 10 laptop will see the light of day by the end of the year. Well, it is the end of the year and all eyes will be on Qualcomm to give us the next generation of Windows devices. The laptop will likely feature Qualcomm's Gigabit modem. Qualcomm's Twitter handle has teased the product through a GIF that shows animated network bars beside a person relaxing at the beach with a laptop . The caption reads, "Leave the power cords behind. The SnapdragonSummit is about to shake up the WFH game. Cocktail umbrellas not included." From what we deciphered, Qualcomm will unveil a Windows laptop with Gigabit modem that will allow remote workers to work from anywhere. Qualcomm had earlier demoed its advances in making a wireless VR headset. The company had demonstrated a prototype VR headset that doesn't need to be connected to a PC or a mobile device. 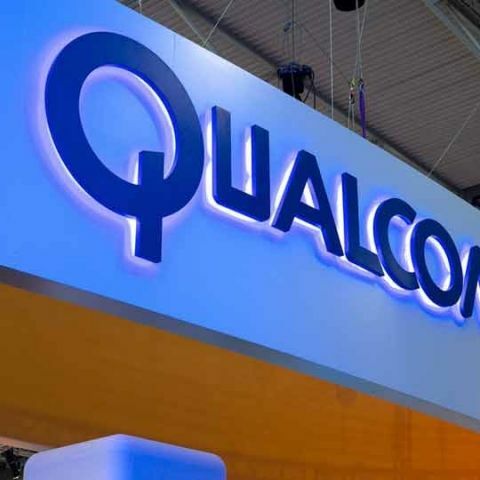 Qualcomm had even announced an accelerator program to bring the product to people faster. By the looks of yet another GIF posted on the company's Twitter handle, the VR headset is ready to be deployed. The GIF shows a lady connected to an untethered VR headset experiencing, what seems to be an underwater ecosystem. It is known that five VR headset makers have promised to bring out VR headsets powered by the Snapdragon 835 in 2018. Could tonight be the grand reveal of them all? The Snapdragon chipsets were already adept at recognising faces to authenticate. But by the looks of another GIF, that tech will be made more secure with the incorporation of iris scanning, something that the Galaxy Note 8 comes equipped with. The GIF shows a woman's eye being authenticated inside a mobile phone, which pretty much explains what's in store. Qualcomm's next generation mobile platform will feature AI and Natural Language Processing heavily. Once again, Qualcomm's Twitter handle has teased real time translation hinting on further strides in understanding natural language. Perhaps, the Snapdragon 435 will have an NLP chip much like the Moto X4 and could even feature an AI chip.